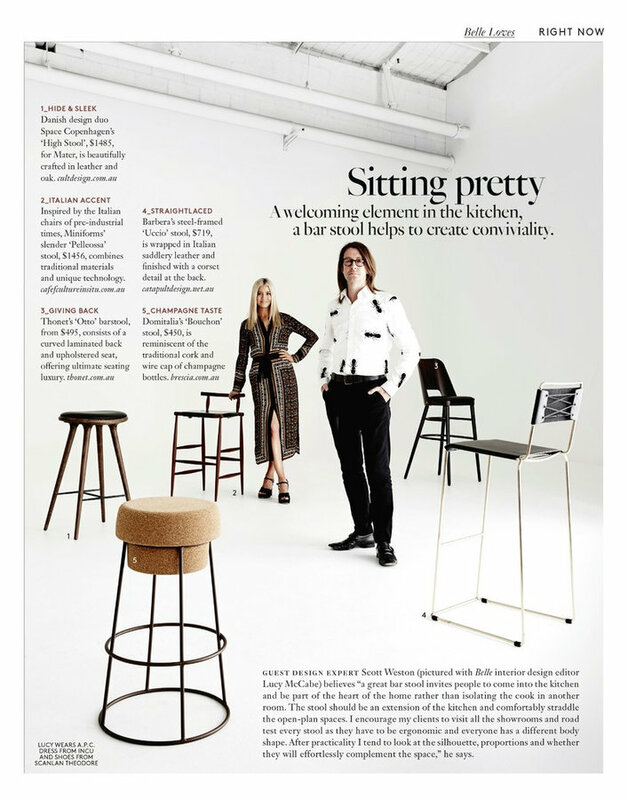 Scott Weston (pictured with Belle interior design editor Lucy McCabe) believes "a great bar stool invites people to come into the kitchen and be part of the heart of the home. I encourage my Clients to visit all the showrooms and road test every stool as they have to be ergonomic and everyone has a different body shape. After practicality I tend to look at the silhouette, proportions and whether they will effortlessly complement the space."